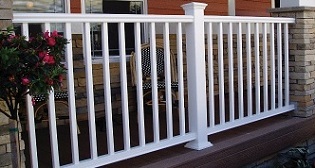 Railing systems with composite, aluminum, or glass balusters. 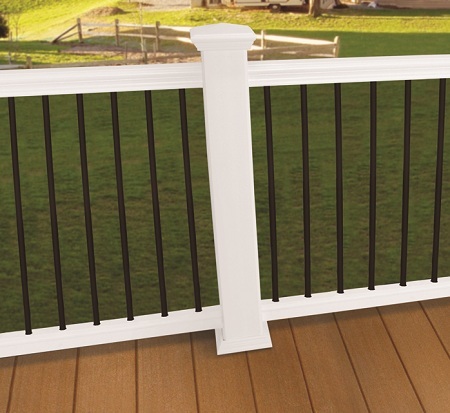 These great styles are available in white and black, and can be easily mixed with vinyl accessories to complement any design or price range. 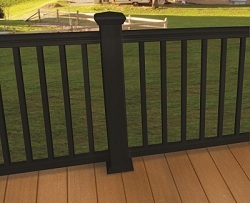 No Need for Staining, Painting or Sanding! 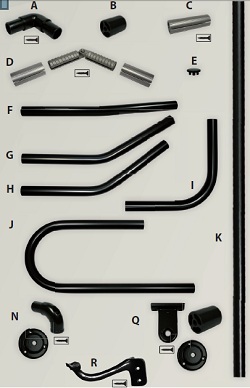 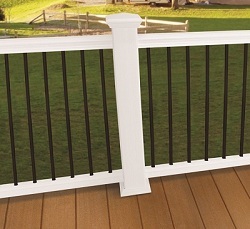 • 6" and 8" wide kits for both 36" and 42" long railings. 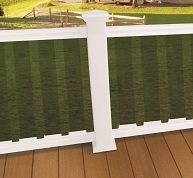 Available in 7 colors as shown: black, bronze, hammered bronze, clay, rust, green and white. 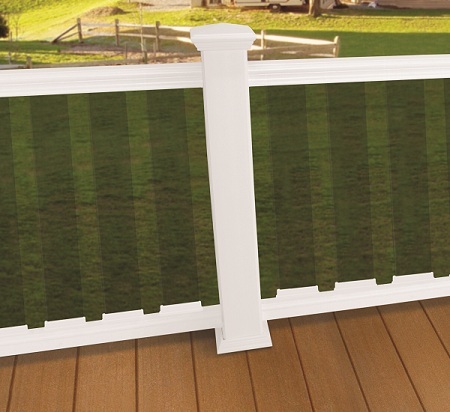 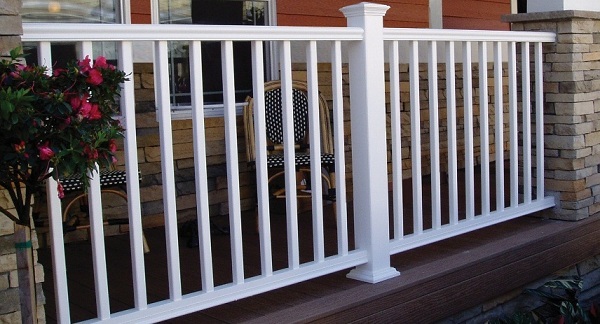 •Comes with either Composite, Aluminum, or Glass Balusters!